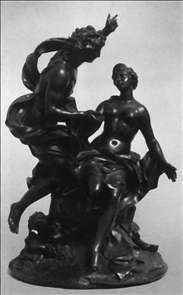 French sculptor and bronze-caster. He came from a family of goldsmiths of Flemish origin who settled in Paris in the early 17th century. Early biographers state that he trained with Michel or Franois Anguier and at the Acadmie Royale. He spent six years at the Acadmie de France in Rome, where he is said to have studied above all the sculpture of Bernini. This was followed by four years in Venice. 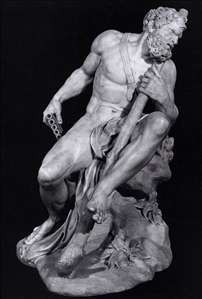 He applied for admission to the Acadmie in 1678, and he was received (reu) in 1681 with a marble statuette of Polyphemus (Paris, Louvre), inspired by Annibale Carracci s fresco in the Palazzo Farnese, Rome. From this time until 1720 he enjoyed a highly successful career in royal service and in the employ of the Church and of private clients. He devoted much energy to the affairs of the academy, eventually holding the office of Chancellor. He worked in every branch of sculpture, from monumental marble and bronze statues to small bronze statuettes and candlesticks. See more details about "Bacchus and Ariadne"
See more details about "Polyphemus"